The recommended browsers to use with this site is Microsoft Internet Explorer 8.0 or greater. Adobe Reader is software that allows you to view information that is presented in a Portable Document File, often referred to as a PDF. The software is free and can be downloaded over the Internet. Many sources of information on this site link to PDF's. See the FAQ's How do I get Adobe Acrobat Reader?" for instructions on how to obtain this software for free. Go to http://get.adobe.com/reader/ and following the instructions to install Adobe Acrobat Reader. 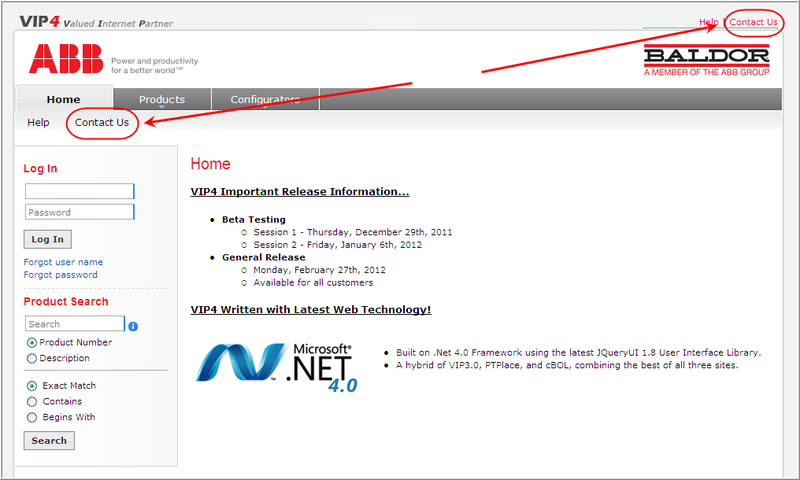 Go to http://www.microsoft.com/windows/products/winfamily/ie/default.mspx and follow the directions. It is a file format created by Adobe that lets you view and print a file exactly as the author designed it, without needing to have the same application used to create the file. However, you do need the software application Adobe Acrobat Reader to view the file. See the FAQ's "How do I get Adobe Acrobat Reader?" for obtaining this software free. To register for VIP4 select Contact Us from the Homepage. 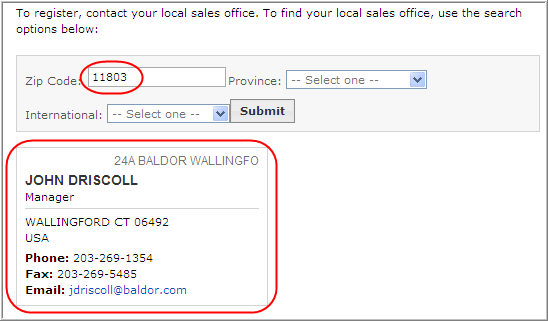 Search for your local sales office contact information by entering your location information. Then select Submit. 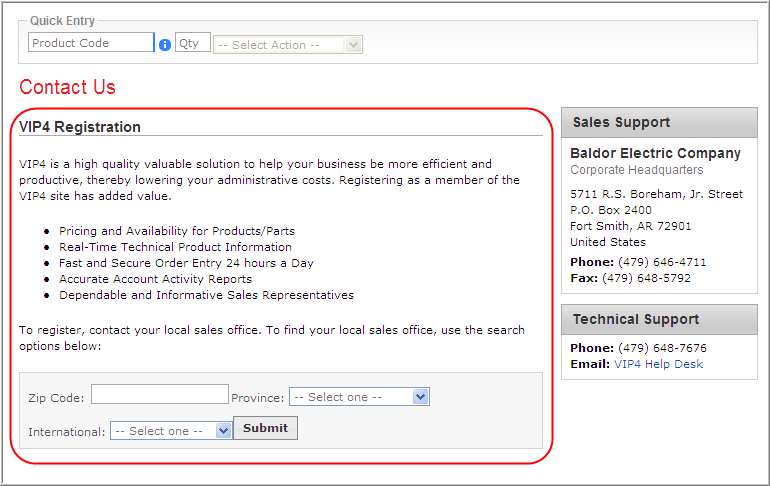 Your local sales office contact information will then be displayed. Call or email them for help with registration. 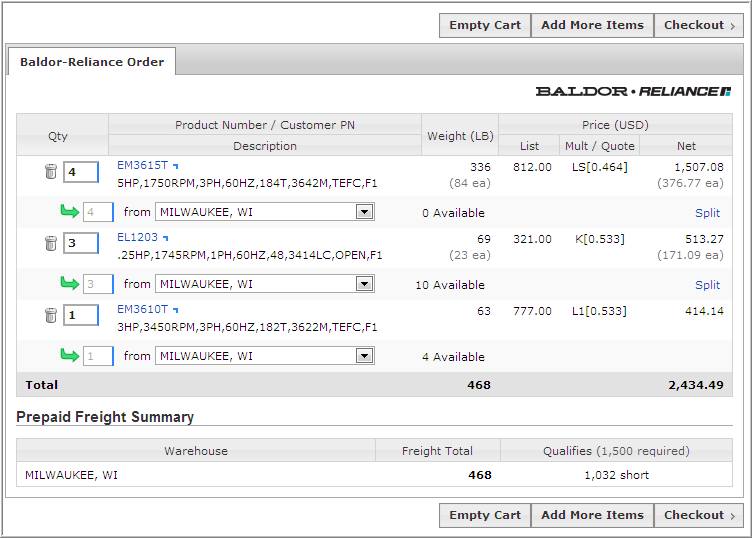 During order entry, if the required product quantity exceeds the quantity available from the default warehouse, you will be given the option for a split shipment. 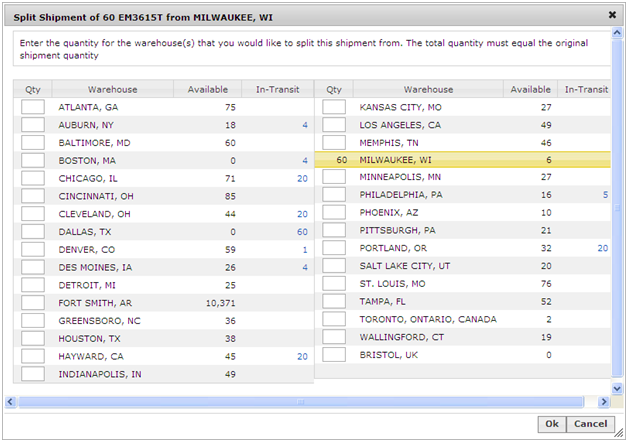 On the order below, 60 pieces are required but the warehouse only has 6 available. 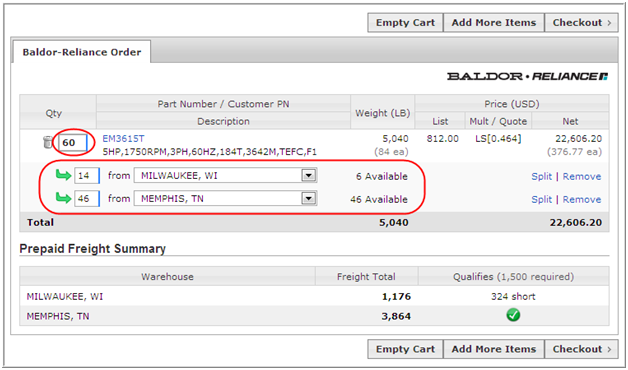 To use the split shipment option, click on Split. All warehouses and available quantities of this product will be displayed. To order from other warehouses, enter additional quantities in Qty box until the required quantity is complete then select OK. The order shows the required quantity of 60 pieces has been met and this product order can be completed with a split shipment. 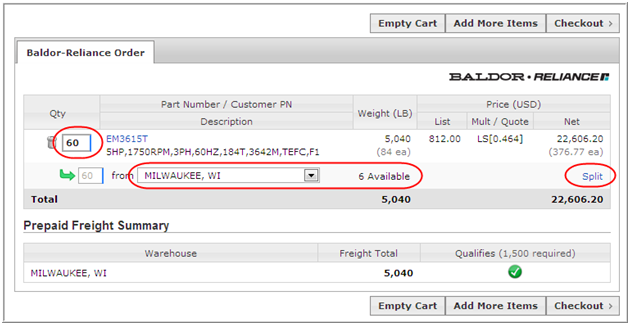 When entering an order in VIP Order Entry, multiple product numbers & quantities can be uploaded using Excel. 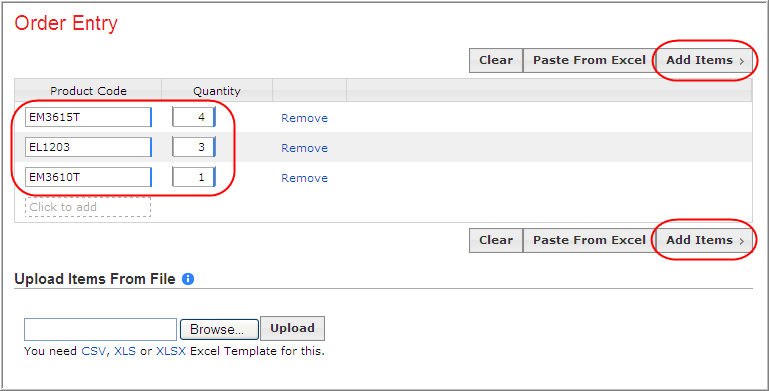 To use this option, an Excel Template must be used and can be downloaded from VIP. 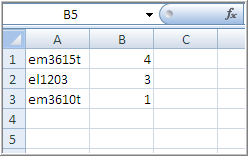 Click on the CSV, XLS or XLSX Excel Template, see below. Once your data is in the spreadsheet and saved, it can be uploaded to VIP Order Entry. The example below uses the CSV Template. To upload select Browse to search for the spreadsheet saved on your computer. 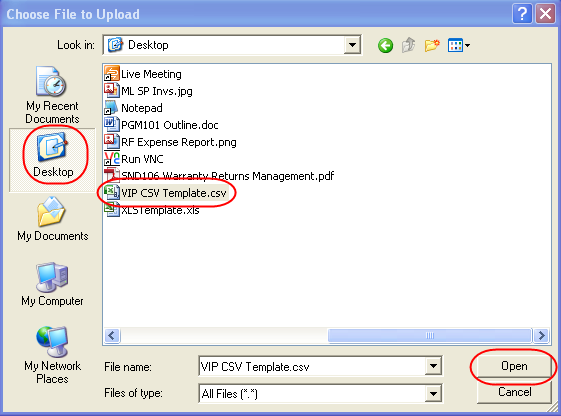 In this example, the file 'VIP CSV Template.csv' was saved on the Desktop. Select Desktop, then click on the file and click Open. 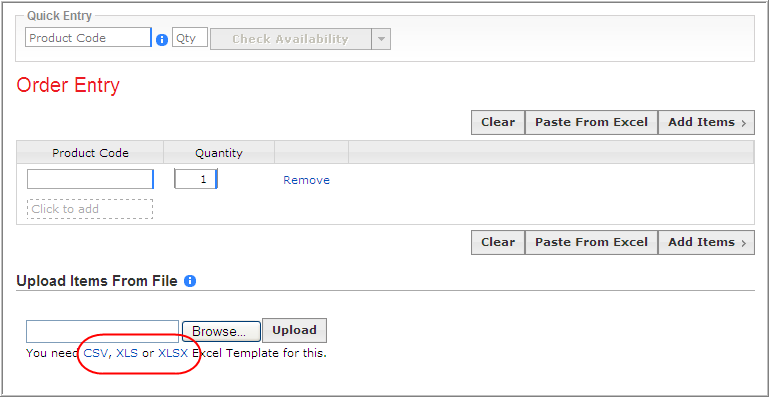 Then select Upload for the data to be uploaded. Your data is then uploaded to Order Entry. Click Add Items to enter an order. 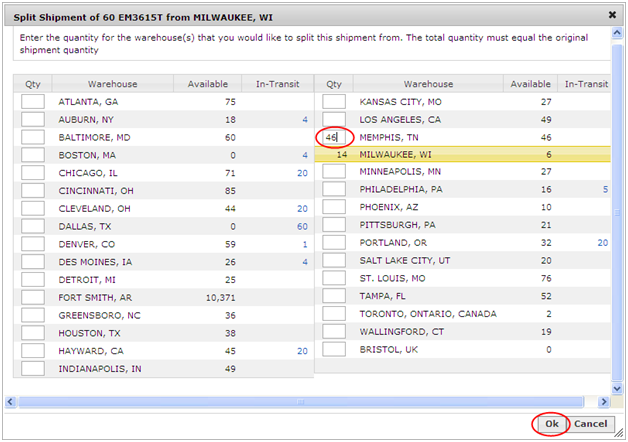 An order is created using the uploaded data from the Excel spreadsheet.